Are you still searching for a job where your tech talent can fit in? We know the struggle of every job seeker and we're glad to announce that this February, our London Tech Job Fair will give you opportunities to start with. We make sure that we cater you the best companies for your talent. This might be the best way for you to grab and start your career. We're glad to share that Salt company will be joining us! The team is looking for talented people to join their team. A person who has the same vision as them, and willing to grow to achieve the mission. If you have the passion for Technologies- then you're in the right article! Salt connects people and businesses globally within Creative, Marketing, Sales and Technology. The company value and respect differences. They believe that as an organisation they make it their mission to ensure that their employees feel absolutely comfortable in bringing their whole self to work, not only does this ensure their colleagues can work in a respectful and open-minded environment but, it makes business sense. Here are some of the information we gathered for you about the company. Interesting facts about the Salt is written here. Salt is an award-winning global recruitment business with 180 staff across 8 locations: London, New York, Auckland, Sydney, Hong Kong, Singapore, Kuala Lumpur and Dubai. We deliver outstanding candidates globally in the digital world across Creative, Marketing, Sales and Technology, whilst our services range from single hires to covering complete outsourcing solutions involving business change. We have built our business upon 5 pillars: Vision, Values, Minimum Standards, KAM (Key account management) and DNA which is regular and relevant training and development for our consultants, so their knowledge of their fields is constantly updated. Our pillars define the way we work across all our offices and we are proud of our consistent yet agile methodologies. From the first conversation about your job search to securing your new role, you can be assured of a quality, friendly service. We have a team of Product, Software Development and Data Recruiters here at Salt who are specialists in their fields. They use their knowledge and expertise to help candidates find the right role for them, whether Contract or Permanent. We are passionate about creating futures and work collaboratively with clients and candidates to place the best individual digital talent into exciting teams globally. We’re looking for people with passion and experience working in Tech. Whether you’re a Junior looking for a new role or a Senior looking for your next career step – we can help find you the right position for you. Stop by our table to have a chat with one of our recruiters. Are you ready to create a future with Salt team? Time is approaching fast make sure you sign up here to meet the team in person. You can visit their Website, Facebook and Twitter for more information about them. Make your career happen, see you in London! Derivco: We’ve Got Game. Do You? London has always been a dream city for a lot of people. Those who live there, don’t want to move, others are looking for ways to be a part of it. However, no matter how great the city is, there is something essential to make it great to live in - career opportunities. We, at TechMeetUps, organized London Tech Job Fair to open the doors of great opportunities for you. Before the big day comes, we want to introduce the companies that join us to find the best talent just like you! Meet Derivco, the leading software development house in the online gaming world. The company takes the gameplay seriously and they understand that to get the best results they need to give their most to it. “Collaborate: We’re the master of all trades and jack of none. We design, develop, illustrate and animate. Our skilled teams divide the work and multiply the success. Innovate: Ideas! We love them. Big, seemingly-impossible-to-achieve ideas. We don’t reach for the stars, we search for alternative universes. Discover: Show us what you know and we’ll return the favour. Work with some of the best minds in the industry. Embark on a knowledge adventure. Derivco reached so much due to its amazing team. At Derivco, teamwork makes the dream work. There’s enough brain power here to fire a nuclear substation, and by putting their minds together there is nothing they can’t achieve. Curious: Curiosity is the spark that fires the engine of creation. We query, we question, we poke and pry. We’re passionate about finding out what we don’t know. Mavericks: We go against the grain. We prove people wrong. We don’t follow the rules, and we love pushing the envelope. We’re ambitious and we have BIG plans. Learners: No other industry advances as rapidly as ours. To stay at the top of our game, we have to evolve as quickly as the technology we work with. Experts: We know WHAT to do just as well as we know what NOT to do. This makes us the experts in our field. Obsessive about quality: It’s all in the details, and we make sure we look at those with a magnifying glass. After all, why settle for something good when it can be great? Don’t miss your chance to meet the team face-to-face and show them what a great fit you are. Book your tickets for London Tech Job Fair and get ready to meet the team. Some of the articles we have on TechStartupJobs blog may be a huge help. You can also learn more about the company visiting their website, Facebook, LinkedIn and Twitter accounts. We are pleased to connect you to different companies who are looking for talented people to join their team. If you're looking for a tech career... Great! We are coming to the capital and largest city of the United Kingdom- London. This February 2018, our London Tech Job Fair is waiting for you. Together with us are the Derivco company who creates leading software for the Online Gaming industry. The company design and develop trailblazing technology and becoming the dev house that every developer wants to work for. At Derivco, teamwork makes the dream work. They believe that by putting minds together, there is nothing they can't achieve. The company creates the design, develop, illustrate and animate. Their skilled teams divide the work and grow success. Derivco doesn't just aim to reach for the stars; as much as they love ideas, they do search for alternative universes where ideas are big and seemingly-impossible-to-achieve. Break. Build. Construct. Play- the company work with bleeding-edge technology and have the most fun trying out new things. Show them what you know and the company will return the favour. If you are open to working with some of the best minds in the industry, then you're in! People in Derivco are passionate about finding out what they don't know that's why curiosity is the spark that fires the engine of creation. The company are ambitious and they have big plans. They don't follow the rules and prove people wrong. No other industry is advance as rapidly as them and for you to stay at the top of the game, the team will lead you to evolve as quickly as the technology they work with. The team of Derivo includes experts in their field, they know WHAT to do just as well as those NOT to do. The company don't settle for something that is good because they push themselves and settle for what is great. Expand your mind and your universe with them. Derivco believes that every goal is nearly impossible to make if they can't get their team to work together. That’s why they are looking for talented people who love to be in a team and work together as a team. If you are open to change, obsess about the quality, curious and open to learning then this company is for you. Derivco takes gameplay seriously and it takes the best to make the best. Sign up here and get to meet the Derivco team in person. Our London Tech Job Fair is about to start this February. Get to know more about the company and visit their Website, Facebook, Instagram and Twitter. See you! One of the best ways to make an impact on a potential employer is to know as much as possible about their company. As London Tech Job Fair is not so far this is your chance to get to know PRODYNA a great company that joins us to find the tech talent they need. The name PRODYNA stands for professional and dynamic. Spread over nine countries, sixteen office locations and even more project locations, the company’s employees work in numerous customer projects. Despite different cultures and languages, they have a common vision: Bringing the customer’s projects to success and developing user-friendly software. Thinking in new ways is the team’s passion. The goal of providing the optimum solution for every customer is their challenge, which they are always happy to face. The fact that every project is different characterizes and allows them to make new experiences again and again. Since the technological environment is characterized by strong transformation processes and further development, the company puts a strong emphasis on intensive internal communication and short communication channels. For PRODYNA it is extremely important to build long term relationships with its customers through structured projects based on the application of procedure models, the compliance with quality standards and the high demands for documentation and concepts. High investments in staff training permit a professional and positive behaviour of their employees when dealing with customers and colleagues. The PRODYNA Academy likewise, ensures opportunities for the development of the team in the area of Java Enterprise technologies. Working with PRODYNA is like working with good friends. The corporate culture is based on community spirit, passion and joy in what they do. They expect a lot from their employees – high-quality software, professional appearance, dedication and ideas. An environment in which everyone feels comfortable is the best way to reach it. For this reason, their social benefits are multifaceted, so that everyone can feel comfortable and can grow together to be successful. Teamwork and fun at work with a pleasant working atmosphere and a real team spirit fostered by various events like marathons, tech hackathon and many more. At PRODYNA they are looking for passionate developers. Having several years of experience in software architecture and technical management of project teams would be a good match for PRODYNA. Additionally, a potential employee needs to have fluent knowledge in English as well as excellent communication skills. If you can work well in cross-functional teams and you are an excellent analytical problem solver, you are a perfect fit for PRODYNA. So don’t hesitate to join us at London Tech Job Fair. Tech Startup Jobs blog can be a great help while getting ready to meet your potential employees. How much time you have wasted searching for companies who could probably hire you? How much money do you need to spend just to get you on board? We are glad to tell you that we can offer you more opportunities than you could imagine... So stop wasting money, time and effort instead, come and join us in Munich! This coming March 2019, we will be having our Munich Tech Job Fair, and we are glad to share that Jonsens.ai will be joining us. Jobsens.ai is created by Stepstone brand who is the most successful online job board business today. Over 60000 companies use Stepstone job boards successfully for the recruitment of qualified specialists and executive staff and they operate over 10 top brands with 60 million visits and more than 600,000 jobs per month. Jobsens.ai profits from Stepstone experience and uses this collected wisdom to find the perfect developer job for you. Jobsens.ai aims for you to master your skills in every possible way by creating exciting challenges that are tailored to your expertise. Jobsens.ai provides you with handpicked jobs as long as you have the talent. The company believes that talent is the key factor for its customers' success– the right people in the right place at the right time at the right cost. They search for individuals who are professional, driven and dedicated. The ability to overcome challenging situations and deliver impeccable end results. 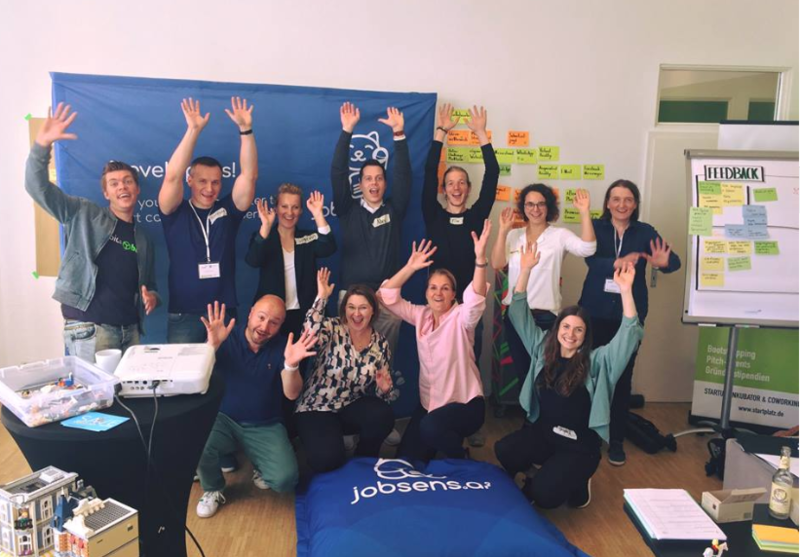 If you are seeking improvements and love working as a team, then Jobsens.ai is waiting for you! Accept challenges that will cater your skills for they have a lot of exciting opportunities to offer. Be more candid, more collaborative, more accountable and more innovative with the company. Now is your chance to save time, effort and money. Come and join us at Munich Tech Job Fair this coming March 2019. Sign up here for free and get to know Jobsens.ai personally. You can also visit their Website and follow them on Facebook, Twitter and Instagram for more info. See you in Munich! Could you attend our Tech Job Fairs or missed them? Zurich is a wonderful city full of career opportunities waiting for you around every corner. In 2019, we’re coming back to the city with one of our events. While it’s only December, the exhibitors already started to sign up! Join our Zurich Tech Job Fair to meet the companies that are in need of tech talent. Maybe Elca is just for you? With more than 50 years of history and over 1000 specialists employed, they offer a broad spectrum of experience, skills and technical innovations to support digitization. Elca provides tailor-made and standardized solutions to support digital transformations in Switzerland. In such a dynamic and competitive market, the company needs to change its information system at a great speed and add more and more innovation. The company has developed AgileIT which optimizes the added value. This can be done bytaking into account the project contexts, the methodological agility requirements and the contractual fixed-price commitment. Elca is a developer and integrator of complex IT solutions and they need colleagues who are keen on tricky challenges. All of the employees are highly skilled across a variety of domains. 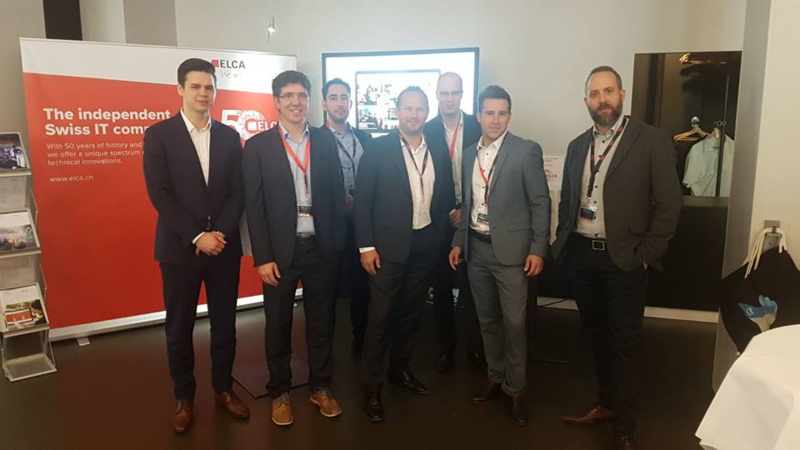 ELCA is one of the largest Swiss IT solution providers – and a privately owned, independent leader in IT, building on 50 years of success. The team is looking for graduates in the fields of software engineering and systems integration. You’ll join the company’s experts to deliver a sustainable positive impact on all the client projects, which include governmental authorities and all major industries. Their standards are high and the commitment to excellence is great. Using their creativity, innovation-mindedness and passion the team helps shape the future of Swiss IT scene/local startups/etc. Join a truly extraordinary company! Sounds like great, doesn’t it? Elca is looking for talented people with a solid education, open-minded, motivated to learn new things, service oriented, able to work independently and in a team alike. Elca is a company for you if you are bright and talented, keen to be part of an ambitious team helping change Switzerland into a truly digital society. If you’re interested in state-of-the-art technologies and high expertise teams. It’s the employer you’ve been looking for if you want to leverage your educational background, apply your infinite curiosity and your out-of-the-box thinking. They’re for you if you’re willing to meet the company’s high personal and technical standards. In short, if you want to be part of the ELCA spirit, then Zurich Tech Job Fair is the right place to come. Get your tickets now to make sure you’ll be there and get the chance to prove the team that you are the one they are looking for. Hard time upcoming? Busy before the Holidays? American Express is sharing their tips on staying productive when it's tough to do so! Check out what they've got to say about it and book your even ticket before Amsterdam Tech Job Fair! Dealing with grief is an unfortunate fact of life. But when you run a business, your ability to handle loss can affect your company and your employees. As the leader of a company, you may already be accustomed to maintaining high levels of productivity. It's that self-discipline and drive that got you to the top. However, no matter how hard you compartmentalize feelings or put on a front, we're all human, and life happens. Tough situations arise that force us to deal with other things outside of business. These situations can sideline or discourage even the most productive business owner or executive. Although many of us stay resilient through grief, for others, it can be much more difficult. No matter how you respond to grief, though, the needs of your small business won't change. You still must adjust your product to fit evolving markets as well as tackle daily problems and duties that inevitably arise. In other words, taking time away completely just may not be an option. You'll need strategies that can take the pressure off if you have to go back to work sooner than you'd like. Here are some approaches that can help keep your productivity levels strong, even during tough times. Now is the time to let go of any perfectionist tendencies. Even in the best of times, perfection isn't possible. Instead, accept a new reality. Dealing with traumatic events and the sadness that comes from them can bring on dramatic emotions at the most unexpected times. You may find that you forget things because you're distracted. Grief doesn't care about deadlines or schedules and can come at any time. Don't view it as a failure to admit you can't handle everything during difficult periods. Instead of always striving for perfection, give yourself more time to complete work. Take on fewer projects. In certain cases, this adjustment in productivity may need to be shared with clients. Offer a brief explanation for why you need more time or will be working fewer hours for a certain period. Customers will likely appreciate what you share and give you that space. 2. Work in short bursts. There's no time limit for grief when it's fresh. No one knows when it may surface or for how long. Sadness and sorrow can wear people down physically and mentally. That's why working for too long may be counterproductive. A better approach is to undertake short bursts of work, which may help you if you're having a tough time concentrating. Try limiting a work session to just one hour. Use a time tracker device to set brief work periods and breaks. In between short bursts of work, compose yourself by taking a quick walk, meditating or reaching out to a friend. If there's any time to focus more on yourself than anyone else, it's when you're grieving or handling severe stress. When you're battling grief, you may feel tired or lack the energy to be productive. Consult with a doctor about the physical risks associated with grief. A health professional may recommend a specific diet regimen, exercise or rest to promote a brighter outlook and motivate you to feel productive again. As mentioned, grief doesn't care about deadlines or schedules and can come at any time. Don't view it as a failure to admit you can't handle everything during difficult periods. Instead, seek assistance to ensure clients receive the same level of service you've regularly delivered. Surround yourself with others who can help offset some responsibility. For example, a co-founder or business partner can take over for a short period, if necessary, to give you time to heal. Or, you may be able to delegate more tasks to staff or a remote team. Besides helping ensure business continuity, this decision keeps your staff informed and can help give them a greater sense of ownership. Sometimes people living with this kind of sadness may not feel as though they're getting any better. Professional assistance from a therapist, religious leader or a mentor can help here. Recommendations from counselors can change your mindset, address your emotions and offer healthy coping mechanisms. Nearby hospitals may offer free bereavement groups you can join. Support groups like The Compassionate Friends offer an outlet to verbalize your struggles and hear what others have experienced. They can work with you on a plan to get back to work gradually. Additionally, nonprofit groups like Open to Hope have grief counselors, online content and other resources with advice and therapy that may help you recover from tough times to get working again. Reading and seeking information from others aren't the only ways you can get yourself feeling happier and productive. Keeping a journal or expressing your emotions in written form is also effective for bringing relief from painful experiences. Writing about what's hurting you emotionally takes away some of its sharpness. It's healthier than endlessly pondering the loss and trauma you've been through. Writing things down can also be valuable for addressing the forgetfulness that often comes with grief. The last thing you want to do is forget an important deadline or date associated with a key client. Use a cloud-based calendar that you can access through any device to quickly record upcoming events and meetings. These tools can send alerts and reminders. Also, many calendar apps are AI-enabled so they can do some of the work of scheduling, updating and reminding on your behalf. They say time heals all wounds. The fact is, though, that taking too much time away from your business can be counterproductive. You can seek help from the world outside, or by focusing inward on your own health and wellness. But no matter what you do, you must make an effort to carry on effectively. Be patient with yourself, but use the right strategies where you can to still help your business succeed in the long run. One of our exhibitors for Amsterdam Tech Job Fair, Zoom, knows just how to grow a global company. They developed an amazing idea and executed an expansion strategy that the company to the current spot of a global industry leader. This week, Zoom will one of the employers looking for new people at our job fair in Amsterdam. Learn more about the company - check out the exclusive interview with Eric Yuan, founder and CEO of Zoom Video Communications! While I founded Zoom and our marketing team solidified our brand, each employee is a creator and steward of the brand every day. Our brand is about delivering happiness to our users, and that is done every day, every time a user interacts with our product or our team. Back in my college years, I had to take 10-hour long train rides to see my now-wife, and ever since then I was imagining how great would it be to have similar face-to-face experience without the need to travel. Following my passion, I joined Webex (later acquired by Cisco), but I left since it was overwhelming to see so many unhappy customers and me not being able to solve for their communications needs.. This inspired me to build my own video communications platform from ground up and make it friction-less. This is how Zoom was born. While we’re in a crowded market, Zoom stands out on the video communications market in many ways, including a superior product quality and exceptional ease of use, and the comprehensive, unified quality of our platform. The brand maps to this. We say our users “Meet Happy.” However, the main difference is that Zoom is a world-class communications platform and offers many other products in addition to video and audio conferencing. Zoom comprises Zoom Rooms for conference room solution, App Marketplace, Zoom Voice, Zoom Webinars, and Zoom Chat. We have competitors for each of our products, yet Zoom is the only platform that offers a significant amount of diverse products and integrations. Delivering happiness to our customers is our main mission. Zoom wouldn’t be what it is today without our customers. Everyone in our customer-facing teams is dedicated to deliver the most superior experience to our customers, regardless whether they have 1 or 100,000 licenses. Cherishing our current customers is what I value about Zoom. A few years ago, I would review the list of customers that cancelled their subscriptions and send each of them a personal email telling them I was sad to see them go and that I would like to know if there was anything I could do to help. One of the customers emailed back saying that Zoom isn’t genuine for sending automated emails impersonating the CEO. Then I emailed him back, saying that it really was me behind the email. He still didn’t believe me, even though I told him I’d be happy to jump on a Zoom call so he could see my face. I still review our churn, support tickets, and info@zoom.us inquiries personally as I think it is important for leadership to stay close to their customers. Our company culture is all about delivering happiness. To one another and to our customers. For example, we have a 65-person volunteer Happy Crew that manage who organize events, where our employees get to bond, bring in their families, and connect with each other. Very flat management structure, but very diversified. I spent most of time on caring about our employees and our customers like improving our business process to make employees happy, talk with customers to listen to their feedback etc. I only travel twice a year at most and use Zoom most of the time. Delivering happiness is our main mission, and this wouldn’t be possible without our team. We are looking for caring professionals who have high integrity and a self-learning mentality. The best benefit of working for Zoom is the team of hand-picked amazing coworkers you get to work with. Our culture is truly caring and transparent. When it comes to perks, we offer delicious daily lunches, flexible schedules, generous benefits, book reimbursement, massage chairs, and much more. Our main goal is to keep our platform cutting-edge and keep our customers happy: we never want to become an out-of-date solution that isn’t relevant to customer’s needs anymore. We work with our customers every day to make sure that we are keeping pace with the realities of the ways our users work. How are you feeling about working for Zoom now? Remember, you can book your free event ticket now and meet their team in person at Amsterdam Tech Job Fair! You can also visit their company website, Facebook, Twitter and LinkedIn! The team knows how to work hard and play hard. The experienced professionals in their ranks include the godfather of kiteboarding, a former Olympic athlete, and over 250 avid adventurers. FareHarbor has a proven business model and big plans for changing the way the activity industry works. The engineering and design team moves fast, and they ship new features more than weekly. The fast-pace working environment of this kind is your best chance to learn daily and constantly improve on all levels: professional and personal. This amazing team would love for you to join them. You’ll be the person of impact, have a direct hand in how the company grows. And you will grow yourself, too. Self-improvement and career growth are always encouraged in the company, as at FareHarbor they understand the importance of each employee. To stimulate your growth, they’ve created a relaxed working environment. They offer everything you need to enjoy your working hours. And they’ll quickly settle you in to help you find friends among your new co-workers. Want to join the team and be a part of an amazing path to great success? Then Amsterdam Tech Job Fair is just for you. Get your tickets and come to meet the team in person. Let’s have a closer look at MeteoGroup - our exhibitor for Amsterdam TechJobFair which happens in several days. In this interview, you’ll find all the info you need about them so have a look and grab your last minute ticket! Who are the creators of your brand? What do they do in life? What are they passionate about? The founders of MeteoGroup, at the core, are Meteorologists. MeteoGroup was founded by a group of Meteorology students from the Wageningen University. Today we are a much more diverse group of scientists, meteorologists, technologists, storytellers, product innovation experts, and much more. We understand that technology is essential to using our knowledge of the weather to make better decisions. We are - of course - still fanatical about the weather. We chase storms, have weather stations in our back gardens and get really excited about clouds. What’s the story behind the creation of your company? The founders of MeteoGroup believed that awould improve people's lives and the way they operate their business. We are inspired to help companies save lives, money and the environment with our products, services and solutions. What’s your current view on the market you work in? What makes you feel like your brand stands out? the market we are working in is increasingly competitive. Like many industries, startups with a lot of capital are challenging most established players. MeteoGroup stands out against the competition for a number of reasons. Most importantly because our weather data is the most accurate. In the industries we work in, this is profoundly important. Despite our history and size (about 300 employees), we are nimble and dynamic like a startup. What’s the thing that you value/appreciate/cherish most about what you do as a brand? What we cherish is that we have the ability to not only improve people's businesses but also keep people safe. Whether it's providing safer routes for ships through rough weather or helping municipalities make better decisions about how to manage their roads, the different pieces of our business have a profound ability to improve people's lives. Do you have a special story of something unique you did for a client? Our biggest project of last year was to help the BBC to improve the quality of their weather data, and provide an even better experience for viewers and users of the BB weather website and mobile app. The contemporary design of clearer graphics now allows for more detail and information. So what do you think about them now? Remember, you can still meet with them in person at Amsterdam TechJobFair - book your last minute ticket now. Also make sure you visit their website, Facebook, Twitter and Linkedin! It’s hard to believe but we’re here - the very last event for this year is about to happen! 2018 was definitely a fantastic year. We’ve connected so many talented job seekers with so many companies in the tech industry and beyond. And we’re sure that Amsterdam Tech Job Fair on the 29th of November will make a perfect closing to our all-year tour. So take a comfortable seat and relax - we’re about to show you all the companies that are coming over to the event! Zoom is known for their high-end conference and video communication software. Their team is global, their goal - ambitious, and their culture - international. Care to join? They’ve got lots to offer to their potential employees. Make sure you’re going to stop by their stand during the event and have a chat with them! You may know Meteo Group as the global forecasting authority - and in Amsterdam, you’ll get a chance to become a part of their team. So make sure you make the most of it! They’re going to be there in search of new employees to bring more value to their team. Show them what you’ve got! Wittenborg partners up with us for yet another year and we’re so happy to visit their place again for another event. As you join this autumn’s Amsterdam Tech Job Fair, make sure to visit their new campus at the Dali Building. We’re hosting the event on the 2nd floor so make sure you are there to make the most of this eventful night. Prodyna is an innovative, privately held supplier of enterprise Java software solutions. Their team is all about delivering excellence to their clients every single time. They’re fast growing and ambitious, so if you’re up for working in a place where your growth matters - they’re your people to talk to! Xccelerated locates, connects, trains, and accelerates highly-skilled data professionals to become authorities in their fields. It’s not an easy mission and they need more skilled people to join their team and help them grow. Do you think you’ve got what it takes? Show them in Amsterdam! American Express took part in all our events this autumn and we’re so happy to have them during the last job fair for the year. Make sure you get in touch with them to have a chance for a global career in an international company that hardly needs to be introduced! Anchormen help large organizations with tackling big data and data science challenges by providing valuable knowledge and scalable solutions. If a career in the data field is something you’ve always been dreaming about, talking to Anchormen in Amsterdam is your chance to finally score that perfect job. We’re happy to say hello to Honeypot yet again! They join us again in Amsterdam to search for new members of their team and we definitely recommend them as an employer! Make sure to stop by their stand and have a chat with them - you might just see we’re right about those guys! Cloud Integrate team mastered the power of Salesforce - and now they’re in Amsterdam to look for people of similar devotion and skill level. If Salesforce was something that always attracted you, you’ll now have a chance of joining Cloud Integrate and help their clients unleash the full power of this funnel software. The Obi4wan team created the all-in-one solution for online and offline media monitoring, social customer care, chatbots and media insights. In Amsterdam, they’ll be looking for more talented candidates to fill their vacancies. Approach them and show them you’re the person they’re looking for! 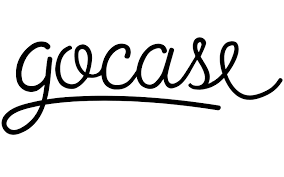 Gocase is an innovative brand that develops style-driven products with the best quality. Make sure to stop by their stand at the Amsterdam event to have a chance of starting your new career in their team. Trust us that it will be worth it! The IBM Client Innovation Center in and Amsterdam is another exhibitor joining us for the event! You can approach them and have a chat with their team, network, connect and build some valuable connections that will speed up your career! Endouble builds and optimises global data-driven career platforms. They’re quickly growing, aiming for high goals and ever looking to the future - so if that sounds like your cup of tea, you should definitely speak to them and hear what kind of specialists they’re looking for! Talpa Network delivers the best media content to their customers. They believe it connects people! If you share that belief, stop by Talpa stand at the Amsterdam Tech Job Fair and see if you could be their next employee! Hundreds of companies worldwide have optimised their software by using Testbirds’ unique crowdtesting and Device Cloud solutions. They simply made it this good - and now you can too become a part of their team by joining them and helping them grow their product! BinckBank delivers some really outstanding fintech solutions to their customers. They rely on the company’s high tier solutions and innovative approach. Help BinckBank grow and expand - simply bring your skills to the team and show them you’ve got all they need! Login VSI’s software ensures enterprises can provide their employees with the best end-user experience. Their advanced technology ensured the company success but there’s always more to do about their growth. Help them expand! Join Oogst in Amsterdam - they been declared best ‘Analytics & Optimisation’ and best ‘Digital Marketing’ agency by Emerce; the leading online marketing community in the Netherlands. Their team is a perfect place for all the challenge seeking candidates that are all about professional growth! Sterrk distinguishes itself in an abundant IT recruitment market with their outstanding approach. If IT and HR were always your passions, they can now be connected as you have a chance to start working for them! Aubay is a Digital Services Company founded in 1998 - ever since they’re on the constant lookout for talented people who will help them grow. If you think you’ve got the skills they're after, make sure to stop by their stand and tell them all about it! FareHarbor creates powerful tools that help tour and activity operators run their business with ease and efficiency. They’re founded in sunny Hawaii and now they come to Amsterdam Tech Job Fair to search for more local professionals. Will you be the one they decide to hire? Cluster Vision designs, builds, manages, and supports supercomputers. They’re coming to our Amsterdam event with intention of finding more people to join them and to help them expand their business. Are you in? There you go! All these companies are coming to our job fair in Amsterdam to see people like you. Let it happen - these conversations can become a starting fire to your career! Make sure you’re there with us at Amsterdam Tech Job Fair - book your ticket and prepare with our ultimate job seeker guide! We’re so excited about the upcoming Tech Job Fair and having you there. But while we are packing our luggage, you can take your chance and meet another the company joining us there to find the tech talent that will complete their teams. Meet PRODYNA: an innovative IT consultancy serving the digital needs of corporate enterprises across the continent. With around 320 employees, PRODYNA is represented by offices in the major European commercial regions including the UK and Netherlands. Despite different cultures, languages or career focuses the team has a common vision: bringing customer’s projects to success and developing user-friendly software. They place great emphasis on close relationships with their customers, employees and partners in the open source environment. The name PRODYNA is associated with professionalism and dynamic. But the name also hides the core statements of the corporate philosophy: that by which they are characterized and what the employees appreciate about the company. Working with PRODYNA is like working with good friends. The corporate culture is based on community spirit, passion and joy in what they do. They expect a lot from the employees – high-quality software, professional appearance, dedication and ideas. An environment in which everyone feels comfortable is the best way to reach it. Are you ready to meet Prodyna team? Then join us in Amsterdam Tech Job Fair and get a chance to have a word with them face-to-face. Get your tickets now! You can also learn more about their team if you visit their website, Facebook, Linkedin and Twitter! Today Testbirds take is on a journey explaining everything about Dutch Fintech landscape. Make sure you have a look and get your ticket ready for Amsterdam Tech Job Fair - because this is where you can meet their team! 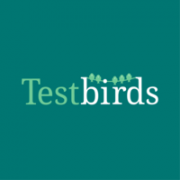 At Testbirds, we help companies and organisations to optimise their digital products and services. We do this for all kinds of clients throughout all sectors and verticals. Within finances and insurances, the need for good working software is evident. From Amsterdam, Julius travels through the Dutch fintech landscape and for our blog he wrote an article about it. Working for a tech company like Testbirds, I get the opportunity to meet a lot of different innovative companies, of which many operate in different segments of the financial services area. Banking, payments and insurance to name a few. Many of these companies share similar challenges, but all have their own focus on what they want or need to work on right now. What I find very impressive is how (and how much) knowledge and experience is being shared, for example through Holland Fintech, and the interesting events they organise. The fintech landscape in the Netherlands is very diverse. More and more companies are entering the space to join the action and provide new and innovative solutions. Looking at the Dutch landscape, it ranges from disruptive companies such as CapSearch based in Amsterdam, to established multinationals like Ingenico with over 7500 employees and operating worldwide. On the other hand you see quite some fintech companies that are backed by large banks, insurance companies and other financial companies. A good example is New10 from ABN AMRO. In a recent meetup I attended, they showed us what they have achieved in less than a year – from a disruptive idea to a working company. This is something that many companies can learn from. And of course, the biggest pride in recent history within the Dutch fintech landscape definitely is Adyen. Many start-ups dream of reaching that unicorn status, and only very, very few actually do. The recent IPO of Adyen is a great example of how a digital product can enrich and simplify existing processes. In short, one of the biggest player on the Dutch Fintech Infographic, created by Holland Fintech. Holland Fintech organises, among other things, monthly meetings where different companies are invited to pitch and share their experiences and learnings. This is a great stage for starting companies to pitch their idea to experienced financial experts and gather interesting feedback, or perhaps get introduced to essential people to move to the next stage with their company. This helps both young companies to learn from and perhaps work with established players who have more experienced people, in addition to their deep pockets of course. At the same time, we see the big companies wanting to become more innovative and agile. There’s a big difference between banks, which you use daily for payments, and asset managers that provide pension solutions, or behind-the-scenes specialists, such as the earlier mentioned players Adyen and Ingenico. Most consumers are familiar with the high street banks and probably can sum up a couple insurance companies. But the majority of the SME’s are not known by the larger public, mostly because they only work business-to-business. 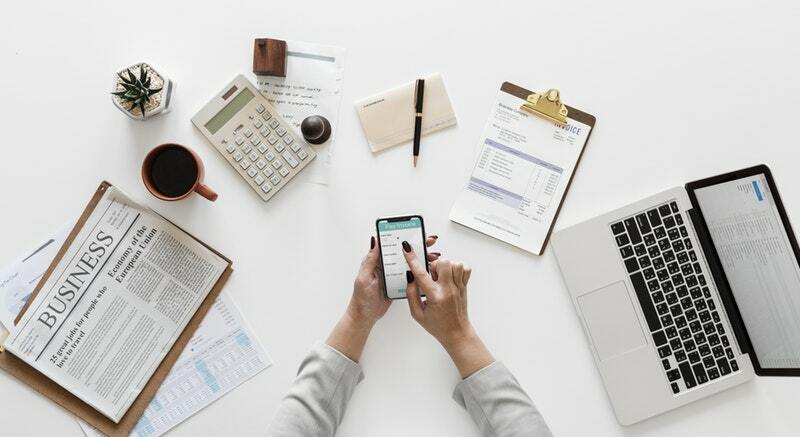 This can be a payment provider which makes it possible for you to easily pay for the book you bought online, or CapSearch that improves access to capital by providing a financing platform for SME advisors and financial institutions. At Testbirds, we test all imaginable kinds of digital products on functionality and usability issues. We have worked on quite some innovative projects within the realm of finance and insurance. Take a project we’ve done for Generali for instance, in which we tested a Pay-as-You-Drive app. The app measures the driving behavior of the insured by the use of GPS. For the evaluation of the data three things specifically are taken into consideration: general decision for reasonable speeds and the deceleration and acceleration near traffic nodes, turns and in straight lines. Based on this information a score is compiled that is taken into account for the calculation of premiums (however, not in direct claims settlements). Testbirds tested the app with real end-users, who used their own devices. It is these kinds of innovative projects that make software testing truly exciting, especially for finance and insurance companies. And it’s one of the reasons why I like to travel through the Dutch fintech landscape as well. I’m looking forward to seeing what the future will bring within this fascinating area. Curious to learn how Testbirds helps to improve the quality and usability of digital products? Feel free to get in touch via j.heyning@testbirds.com. Start preparing your list of favourite Amsterdam Tech Job Fair employers - today learn more about Obi4wan from this interview coming right from their team. What are your responsibilities as a backend developer? Primarily I work on feature implementations for the Brand Monitor product, as well as bug fixes as required. The “backend” of a product is where we handle everything from authorisation for users, to gathering and manipulating data that is then presented to users in the “front end”. I am also responsible for operations for the Brand Monitor, carrying out maintenance and testing to keep our systems and hardware online and performing as efficiently as possible. What challenges and opportunities do you consider to have an impact on organisations in this digital age? As a backend engineer, the main challenge we face is without a doubt security. Especially with the introduction of GDPR, it is extremely important that the systems we use every day not only fulfil the function we expect, but also keep our personal information safe – OBI4wan is no different in this respect. With regards to opportunities, artificial intelligence is certainly one of the most important changes in our field that we can (and should) pursue. 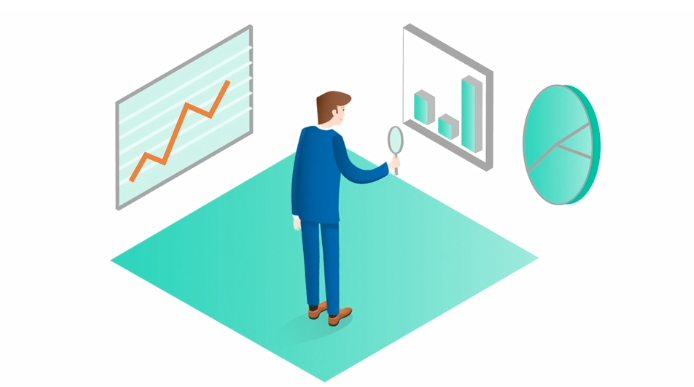 The Brand Monitor is already an extremely powerful analytics platform – introducing smart technologies such as neural networks to classify documents, or artificial intelligence to provide insights with predictive power for our customers will provide huge benefits for our clients and help us continue to be on the bleeding edge of technology. How do you see the future of OBI4wan in this market and how does OBI4wan distinguishes itself? From a Brand Monitor perspective, the future is certainly very bright – there will always be a need for powerful analytics for reputation analysis, and I believe that the introduction of technologies like those I previously mentioned will allow us to keep Brand Monitor at the forefront of reputation management tools. From a company-wide perspective, I believe that continuing to build and focus on our chatbot platform will ensure that OBI4wan remains a force to be reckoned with in the webcare and reputation management markets. OBI4wan distinguishes itself through unrelenting customer focus – every feature I build and bug that I fix is prioritised exclusively on customer needs, which helps us maintain the level of service that our customers expect. How do you make sure you stay on top of your game all day, every day? In terms of AI, it would be really cool if the Brand Monitor can decide what information our customers need and define what to show them. We are planning to rebuild the heart of the Brand Monitor and OBI Engage, so they can better communicate together. This is a really big and important project for Q4 which I am really excited to start working on. Also I would like to implement something that can even better discover when an email alert is relevant. As a Backend Developer, I am constantly seeking to find new ways to get smarter and to get more useful insights. At OBI, we embrace smart technologies that provide extra value. We have a lot of data and tools and we are doing much more than just provide a pretty graphic. In my job you also have to be creative. Programming is actually writing, but in a different language. The reason i got in computing is my father, he is my big inspiration and I learned a lot from him. Solving problems is the main motivation in my daily work. I like to think of everything as a big Sudoku puzzle and love it when small parts fit together in the end. I often ask people “Can you do Sudoku?” If the answer is yes, you can do programming too! Nothing gives me more pleasure then fixing something within the team and it really works. I also like it when we reach the goals we have set up for ourselves, as a team. Hearing that the clients is happy is obviously our ultimate goal. For me, that’s the reason to come to work everyday. Are you interested in a position at OBI4wan? Please come and join our team! We are always looking for new talent. Check the open vacancies or email your resume and motivation to info@obi4wan.com. Are you ready for the 29th of November? It is then when your city will turn into a job-seeking hub! Some really cool companies are joining us for Amsterdam Tech Job Fair and Endouble is one of them! Check out what they've got to say and book your ticket while they're still available! There is a lot of cyclical hype around the concept of singularity or superintelligence. Every couple of years, the concept of singularity resurfaces after (perceived) breakthroughs in the AI field. For Elon Musk, artificial intelligence is about ‘summoning the demon.’ Musk recently advised everyone to view “Do You Trust This Computer”. Also, the dystopian Netflix series Black Mirror is gaining popularity quickly. Moreover, Stephen Hawking warned that AI could be the worst event in history. What are they afraid of? And how will it impact you? Are you ready for the Berlin Tech Job Fair? Don’t forget to learn about the companies that join us in search of great tech talent. Let us introduce AppNexus a global internet technology company. Online Advertising is a thriving and fast-pacing industry. Times have never been more exciting now, where AppNexus as an important player in the market will have a tremendous impact on the future of online advertising. Our mission is to make advertising matter, right here, right now. Some might say that ads are annoying. Honestly, they mostly are. But advertising is the foundation of the open internet and the free press, and funds the high-quality content that we consume every day. Without advertising, we would not be able to see all those funny cat videos or read premium online news for free. In the past already, we have proven that our innovations had a significant impact on the online advertising market and while others are reaching for the biggest dollar they can possibly make, we believe that we can actually make a change and make advertising matter. open communication: you have a question to our CEO? Just directly send him a message on slack! Even though we're part of one of the biggest companies in the world, we've kept the spirit, flexibility and drive of a start-up. We’re working closely with our international colleagues on a day-to-day basis. When you see people playing darts barefoot in the office, you sometimes forget that you’re at work. We hire people with diverse interests and everyone is encouraged to be themselves at work. What we're looking for is not a ton of experience, but rather the excitement about constantly learning new stuff and the ability to easily understand complex matters. You should be tech-savvy and not afraid of radical changes. An entrepreneurial mindset helps you find the best solution for our clients, but also for yourself every day. Needless to say, that we're offering a very attractive financial package. You're free to choose whatever equipment you want to work with and whatever time you want to arrive to work. Of course, free beer, drinks, snacks and fruits in our offices. Speaking about our offices: we're regularly traveling to Hamburg, London, Paris, New York or other exciting locations to catch up with our international peers. Free lunch on Fridays, and a global week off during Summer so that people can make the most of their time outside of work. Our ambition could not be bigger: we want to make advertising matter. Period. We are a global marketplace for advertising already and have all the right assets to really make a change in the future. For that, we will be investing heavily in our teams and products over the next years, and that means growth, lots of responsibility and exciting challenges for our employees. Sounds great, doesn’t it? If you are interested in working with AppNexus, Berlin Tech Job Fair is just for you. The team is going to be there to meet people who want to join them in their mission. Don’t forget about your tickets! Talent.io is one of the companies which join us for the upcoming Berlin Tech Job Fair! We’re so happy to have them again on our events so we encourage you to read the interview with them - you're going to love it! talent.io was founded in March 2015, when Amit and Nicolas, two Stanford graduates that just sold their first startup to TripAdvisor, met by chance with Jonathan, a French entrepreneur and recruitment specialist who was at this time running a recruitment agency. When scaling their former startup in the Valley, Amit and Nicolas needed tech talents, but realised a real lack of such candidates. Candidates were either unavailable, unresponsive, not looking for a job right now, or just not good enough. That's how Nicolas and Amit unveiled a new problem, and a future business idea. On the other side of the Atlantic Ocean, Jonathan had noticed that "selective marketplaces" were gaining traction across the world and that Europe was missing a major player. He then started working by himself on adapting this concept to recruitment in Europe. One day, as he was talking to a VC friend of his, he learned about two SF entrepreneurs working on the same idea for Paris... and that's how he met with Nicolas and Amit. Having a "friends at first sight" type of experience, they joined forces after one Skype call. Jonathan being a tech recruitment specialist and having an amazing network in Paris, Amit becoming CTO, and Nicolas taking care of strategy and growth. 3 years later, talent.io has expanded to 6 cities in France, Berlin, Hamburg and London, and more than +3000 companies are now recruiting on the platform. At the moment the market for tech recruitment is unbalanced - the demand for talent is greater than the pool of candidates. Meanwhile traditional avenues for recruitment, such as in-house sourcing, going through agencies, and trawling job boards are expensive, time-consuming, frustrating and not efficient at all. In contrast, on talent.io we launch a tech professional’s profile when they are actively seeking work in their chosen market, and we speak to each candidate in person in the process of making them visible on the platform. Like this, responsive communication takes place between companies who are looking to hire and tech professionals who want to be contacted. It happens directly on the platform and the process is 100% transparent on both sides. Unlike traditional recruiting agencies, on talent.io, there's no middle-man. Finally, the average time for a tech position to be filled over talent.io is 17 days. Industry standards are around 3 months. The fast turnaround is great for both candidates who are eager to find a new job, and companies who are looking for a new team member. It's great to work towards such a positive impact. We make both being hired and hiring an easier, more stress-free process, for our developers and for our companies. What's your company culture like? What is that you want to represent? What is your team like? How do you work? The way we work rests on our three company values: Take Ownership, Think Team, Make Impact. They encourage a flexible, collaborating and empowered approach to everything we encounter day-to-day, to focus on achieving the most effective results. It has led to a very special company culture, which the founders have nurtured deliberately, to retain all that's best of the working environment they initially created while at the same time accounting for talent.io's remarkably fast growth. The culture is 100% inclusive, helpful, and fun: across the company everyone works together well as colleagues and as friends. We're encouraged and helped to take up, learn, move and improve what interests us. We're a continually hiring organisation with a variety of open roles and keen to take the most proactive, motivated people into our team. Individuals interested in learning about the tech sector and excited to make an impact disrupting traditional recruitment are an excellent fit for us. Our careers page is up to date with all our open positions:https://careers.talent.io/ we're are open to applications from people of all backgrounds, if you think something is for you, get in touch! We offer a friendly, flexible and fast-paced environment, where there is a high level of autonomy and support to drive your projects within the company. That, alongside weekly fruit deliveries, German classes (or English, if you're in the French office), lovely work-surroundings, and real value and recognition based on good work and good results. We're the fastest growing tech recruitment platform in Europe, already in 2018 we've doubled in size, established in three new locations, and everything is still ahead! talent.io is expanding into new European countries and markets. The quality of our service is continually being streamlined as both the company and the platform develop, and we’re becoming able to strike out further and offer increasingly varied, specialist services to both the tech professionals and the companies who use talent.io. Make sure you speak to talent.io on the fair - the tickets are still available! Book one right now and visit their company page, Facebook, Twitter and Linkedin! Are you ready to meet Magix? They’re coming to our upcoming Berlin Tech Job Fair this week so you better buckle up and get ready for an awesome interview with them! Find it below! The meeting of two developers from Dresden at a technology school and two entrepreneurs from West Germany in 1993, resulted in something like a "Big Bang" with respect to bringing multimedia into everyday life. The algorithm of the professional audio program Samplitude was adjusted to create Music Maker, an easy-to-use software for loop-based music production. This event marked the birth of MAGIX. Since then we offer software solutions and web services for audio and video editing, photo presentation, and graphic and web design. With the acquisition of the popular product lines VEGAS Pro, VEGAS Movie Studio, SOUND FORGE, and ACID, we have further established our presence in the international market – particularly in the US, Brazil, Russia, Japan, and China. According to sales figures, MAGIX ranks No. 5 worldwide in its sector (Gartner). Today, MAGIX employs over 350 team members at their headquarters in Berlin and locations worldwide. Video, music, photo, design, VR – our wide product range allows us to offer the perfect software for every demand. We see our products and ourselves as creative enablers, because no matter the experience level of the user, the result at the end is always truly professional. Whether through intelligent help functions, wizards and automatizations, or other innovative product features. Thanks to our software, anyone can bring creative ideas to life and share their feelings and experiences with others in a unique way. Our products transform people into creators – helping them elicit the emotions of others. Make people gasp with amazement, laugh, or even cry. Modern workstations, easy-to-reach locations, a fruit bowl at reception - there are things that many companies offer. We know these conveniences don't make us special. And yet they make the workday easier. What really defines working with us is the open work atmosphere and the readiness of each and every person to listen to his or her coworkers. Many of our employees are also interested in video, music, photo or web technology, and mobile apps outside of work. We make our products available to our employees for home use for free. Many of our employees share their personal experiences with our products with the developers. This helps us to make our products even better. With us, you'll never work in a completely isolated team, but will be in regular contact with other departments. This lively and constructive exchange allows us to constantly find new solutions and stay competitive. Always provide our customers with the best possible product experience at a fair price. Be drivers of the latest technology. How does that sound to you? Make sure you’ve got your tickets booked and ready for Berlin Tech Job Fair where you can meet Magix! Today’s the day when you meet Flightright - the company who looks after customer’s rights when they fly the skies. Check out the interview with them - they might just be the employee you are looking for. They’ll be waiting for you at the Berlin Tech Job Fair this week! What’s the story behind the creation of your company? What inspired you to start your business? The idea for Flightright was born one day between an airport, a court and an important appointment with a priest. Our founder Philipp Kadelbach’s flight was scheduled to take off at 2pm but it was 5 hours delayed. Philipp had to arrive on time because it was the flight to his wedding. He managed to book another flight for 300EUR at his own expenses, allowing him to arrive on time. After, he wanted the compensation for the flight and contacts the airline. The airline initially takes a cooperative stance before all goes quiet. In a fair world, getting your compensation would be as easy as booking a flight - and the idea of Flightright was born. Flightright counts now 140 employees to ensure putting customers on an equal footing with airlines. We have 5 principles that we want to live every day. Our team is extremely international. We have 22 nationalities, so you can speak a lot of different languages every day. Furthermore our company language is English what makes it really easy for everybody to communicate. Even though your English or German is not perfect, don’t worry, we have language classes at different levels for free. In addition, we work really closely as a team together. It doesn’t matter if you are the CEO or a regular employee, we sit in the same office without walls or doors in between. What benefits and perks do you offer your employees? What’s the biggest plus of working for you? One of our biggest pluses is our annual summer workshop, where the whole firm goes to another European country to work and grow together. To get a better inside, watch our company video. Summer Workshop 2018 from Flightright on Vimeo. Furthermore, you have flexible working hours, the home office is possible and we offer free coffee, fruits and soft drinks. To compensate all the energy from the free coffee you can play table football, PlayStation and more. In your free time, you can use our fitness grant or join our volleyball team. As mentioned before we have free language classes and of course we have an extensive onboarding to get in touch with all our in-house tools. Do you think you’d fit in their team? Check out their website, Facebook, Twitter and LinkedIn and make sure you’ve booked your event ticket! We at TechMeetUps have a mission to bring great companies and great tech talent together and make sure everyone gets the job/employee they deserve. This is what inspires us to organize Tech Job Fairs around Europe. We get even more excited when we meet companies that understand the importance of each employee and do everything for their well-being. Meet American Express the company that joins us for all of our autumn events. Let’s discover why this company is like a dream-come-true for tech talent that seeks career growth, professional development, and, of course, don’t want to lose their personal life as well. American Express is the world's premier service company and the largest credit card issuer by purchase volume. They're also an equal opportunity employer, made up of people from many diverse backgrounds, lifestyles and locations. What you choose to do for a living is one of the most meaningful decisions you can make. The team at American Express has no double opinion on this, that’s why they think it’s their job is to help you excel at yours. They provide opportunities to become a great leader and open a world of opportunities to grow your career, as well as an inclusive culture to help you thrive. Because they understand that the best way to back their customers is to back their people. When you join American Express, you’ll have access to world-class leadership and learning experiences, an opportunity to create a unique career journey shaped by your talent and curiosity, and the ability to engage with leaders and co-workers who will help you excel in all you do. All this, combined with comprehensive benefits and a culture of inclusion, makes American Express a unique place to join, stay and grow your career. Creating an inclusive culture is both a part of who American Express is and what they do. The team values and embraces the diversity of thought, backgrounds and experiences of all their employees. Through Employee Networks, participants can broaden their associations with other employees while expanding their knowledge of the business. American Express is a place where being yourself matters. Whether you join the company as an intern or full-time, you’ll gain valuable business knowledge and have a real influence at American Express. Want to join this amazing team? Join one of our upcoming autumn Tech Job Fairs in Berlin and Amsterdam and get a chance to meet some of the team in person! Get ready! Berlin Tech Job Fair is almost here. As we want you to be on the top of things, we suggest to get to know the companies that hire this time. Meet Oberlo, a dropshipping solution for eCommerce store-owners. Oberlo provides a number of drop shipping automation tools and instant access to millions of products available for dropshipping which is an eCommerce fulfilment model where retailers don’t have to buy products in advance. Instead, you just add a product to your store and when you sell it, you buy it from your supplier and have it shipped directly to your customer. They define the company’s culture as the sum of every single individual at Oberlo/Shopify. Every person plays a part in creating it, and when someone leaves or joins, they have a direct impact on the culture. They believe people inherently want to do meaningful work and see the impact they have. The company started out as a few people, obsessed with personal growth. Today, that same pursuit of personal growth drives thousands. Oberlo is always in pursuit of great tech talent to join the team and be a part of their story. If you’re impactful, ambitious, and passionate about shaping the future of commerce and want to join an international and thriving team come and visit us at Berlin Tech Job Fair, don’t miss your chance of a brighter future!